The first category is the one easiest to judge. You don’t need an art major to have an opinion on how something looks and everyone is entitled to like or dislike the design because everything is purely subjective. Take the Mercedes CLA for example. The first generation was a hit and, stylistically, it harkened back to the Concept Style Coupe presented at the 2012 Paris Auto Show. The 2020 model looks fresh and continues to showcase its link with the A-Class hatchback. The C118 CLA was unveiled at this year’s Consumer Electronics Show after Mercedes decided to follow Audi and a host of other brands in their decision to not show up at the North-American International Auto Show. 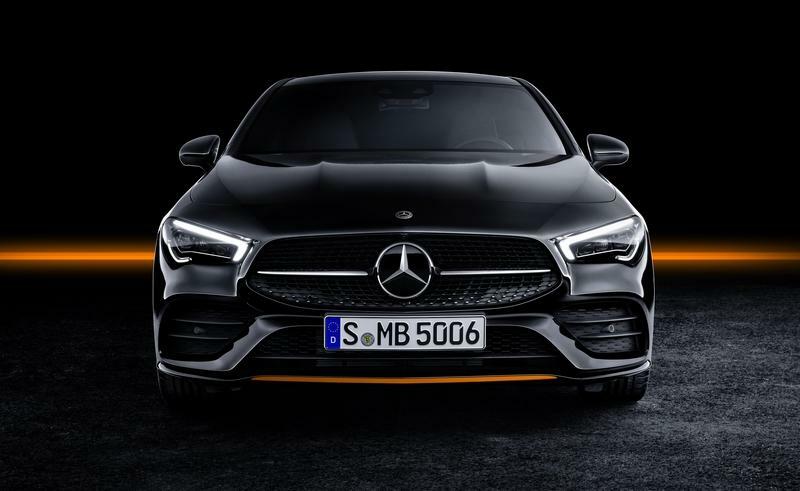 You’ll notice that the CLA’s design draws inspiration from Mercedes’ bigger coupe sedan, the third-generation Mercedes CLS which was the first to employ this aggressive, razor-sharp design language with nearly triangular headlights framing the otherwise fairly standard Mercedes grille. While Mercedes saw fit to basically copy the CLS' headlights and paste them on the front fascia of the latest A-Class, the CLA comes with unique light units that, while similar, are more elaborate in shape in the sense that they're less pointy which gives the CLA less of a squinty look. The diamond-block grille is standard affair on modern Mercs as is the oversized three-pointed star in the middle emphasized by a horizontal chromed bar. The grilles in the lower bumper are also pretty standard. You have the more elongated trapezoidal intake in the middle with the two taller ones placed outboard on either side with two horizontal fins each. 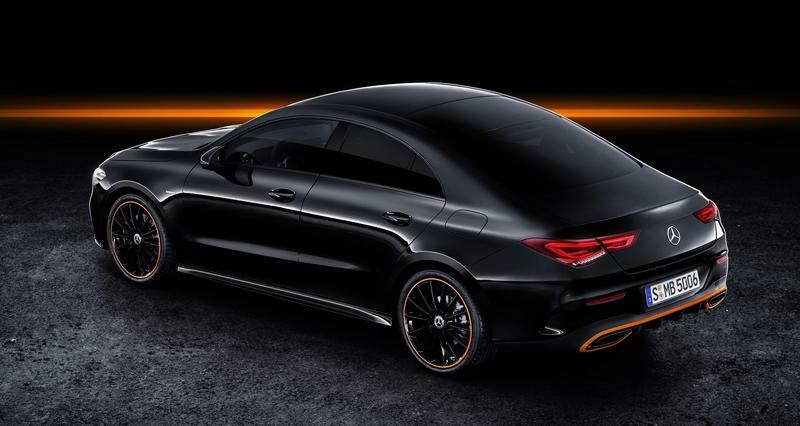 The car’s profile looks good thanks to the sloping coupe-esque roofline, but not as elegant as the longer CLS which boasts with an 8.3-inch longer wheelbase, the whole thing measuring 11.8 inches more than the CLA. With that being said, the second-generation CLA is indeed larger than the car it replaced. To be precise, it’s 1.9 inches longer, 2.1 inches wider with a 1.2-inch longer wheelbase. In the back, the CLA sports triangular headlights that are more spread out around the rear corners of the vehicle than before, echoing the rear end styling of the CLS. Also, like on the CLS, the license plate is attached to the bumper and not the trunk lid. Below the number plate, there’s a protruding finned diffuser with exhaust tips incorporated and placed on the sides. It looks sporty enough to drive the ’coupe’ message home although you can’t argue that the silhouette isn’t as pretty as that of the CLS, but it does look better than the A-Class Sedan, Mercedes’ smallest four-door runabout that sits below the CLA in terms of both style and overall quality. Now, onto the Jaguar XE. The British car was formally presented at the 2014 Paris Motor Show but only went on sale Stateside in 2016. Designed by Ian Callum, it follows the general direction of contemporary Jaguars set in stone by the original XF and refined as the years rolled by. 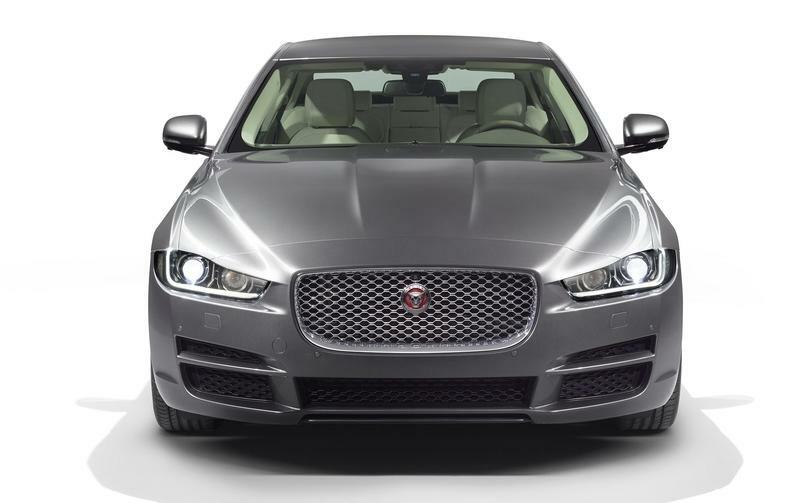 It has the same elongated, narrow headlights with twin headlamps above the L-shaped running light and Jaguar’s typical large-size grille with curved corners and the logo in the middle. 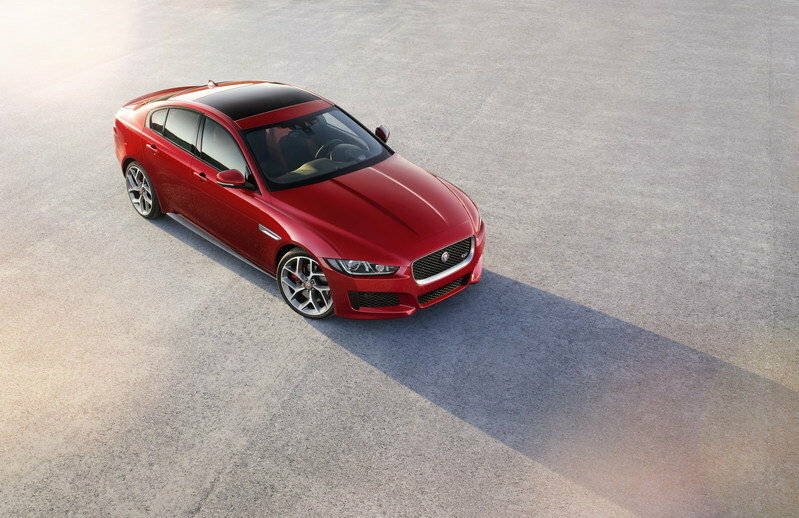 The four creases across the pop-up hood emphasize the frowny-angled headlights trying to make the fascia of the XE look even more aggressive. Lower down; there are three intakes. A smaller one in the middle shaped like a rectangle and two others on either side positioned at an angle echoing the headlights. These have a fin traversing them and a cover-like element towards the outer side. The edges of the bumper itself protrude below the side air vents. There's no bumper lip like on the CLA, but as far as I'm concerned, the Jaguar looks better viewed from the front than the Mercedes. Feel free to argue with me in the comment section below! Oh, and, as I said, the balance might lean towards the Mercedes once the facelift is released. 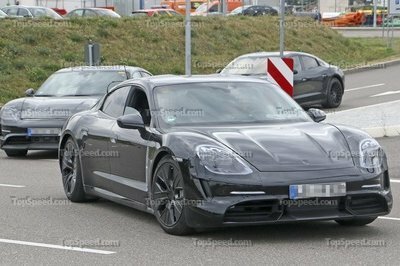 We know, from the spy shots, that the headlights will have a pointier inner edge with bigger air inlets while the taillights should also look different at least as far as the light units are arranged inside the taillight itself. Going back to the current model, its profile is quite clean. There aren’t any mad surfaces or crazy design lines to divert light in funny ways. But the Jaguar also isn’t as svelte as the CLA because it is a more traditional three-box-style sedan with a trunk, albeit a stubby one. In the back, the boring taillights remind you more of a BMW 850 than a car launched four years ago. They’re plain-looking, horizontally-mounted units with just four sides, the outer one curved in the upper corner. 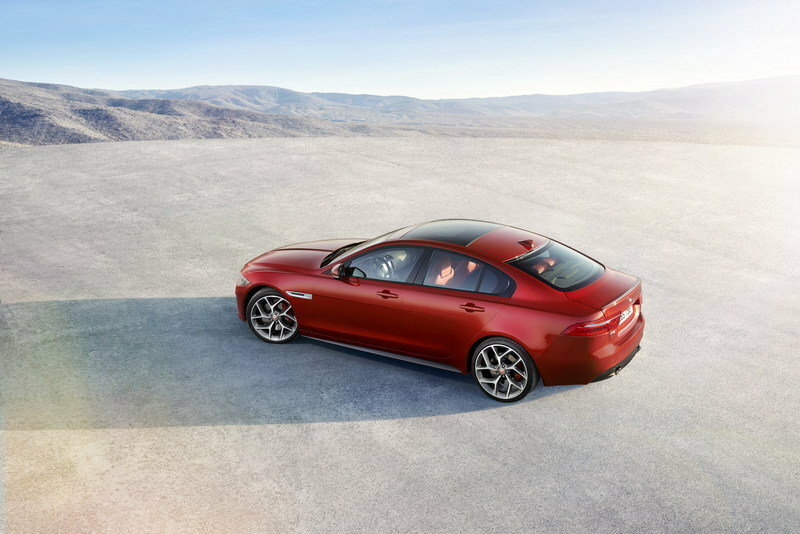 There’s nothing much to say about the back of the XE other than pointing out the obvious: the Mercedes looks better. So, how do they stack up in terms of size? As a proper 3-Series contender, the XE has a 2.6-inch-longer wheelbase but, somehow, the CLA measures 0.6 inches more in overall length. 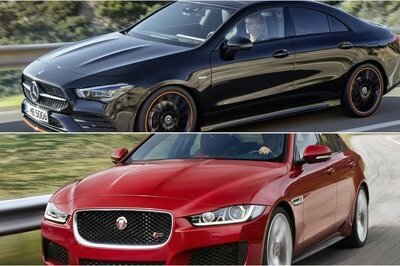 The Jaguar is also one inch wider and 0.7 inches lower than the new CLA which, in turn, is 0.1 inches lower than the first-generation model. 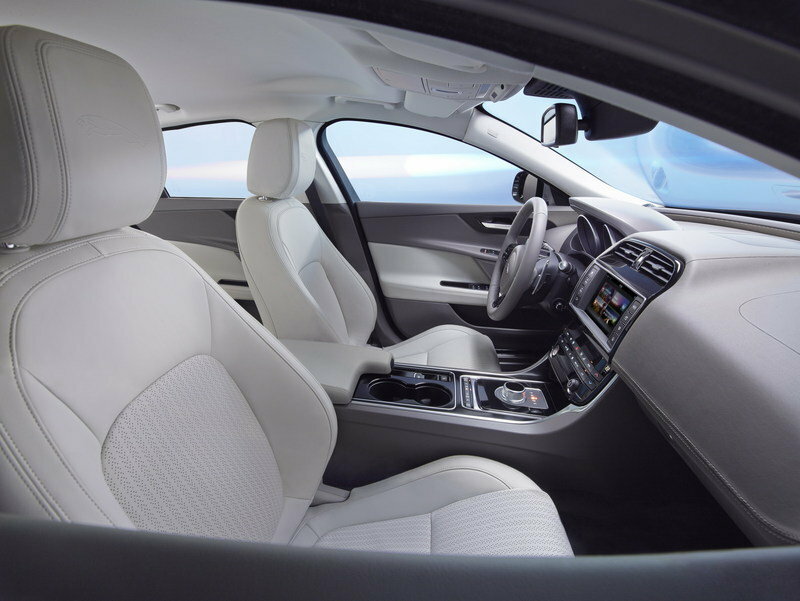 The strange thing, as I’ll detail in the next section, is that the extra few inches don’t quite reflect in more passenger room, especially in the back where you’d think the XE should reign supreme in comparison to a smaller coupe-bodied sedan. The interior is where you’ll spend 99% of the time if you own a car. I mean, you might lean on the hood sometimes or enjoy the breeze by poking your head out through the sunroof but, if the interior is no good, that car cannot be saved by a gorgeous exterior. That is if we don’t talk about ’60s Italian sports cars but, this time, we aren’t. If you're familiar with the cabin of the A-Class, you'll feel at home inside the CLA. The three retro-inspired A/C vents are there, below the 10.25-inch infotainment screen. The gauge cluster behind the steering is also displayed on a 10.25-inch screen. I’m now describing the equipment inside the pricier CLAs as the cheaper ones come with smaller digital screens. Below the vents, which are incorporated in the protruding center panel, there are the metal buttons for the radio and more. The CLA comes equipped with the Mercedes-Benz User Experience (MBUX) infotainment system with voice recognition and built-in AI that "adapts itself to individual users by learning their habits, whether it’s a phone call made at the same time on the same day every week or a route driven regularly." Also, the CLA can be optioned with just about any piece of technology that you can think of in the realms of safety. From lane-keeping assist to speed limit assist and blind spot assist, everything is available. On the subject of interior space, the CLA is actually bigger than the A3 Sedan in almost all areas offering four inches of extra headroom in the front seats, although the coupe roofline means that the A3 offers 1.2 inches of rear legroom more and 0.6 inches of extra headroom, but that’s meaningless in the grand scheme of things. 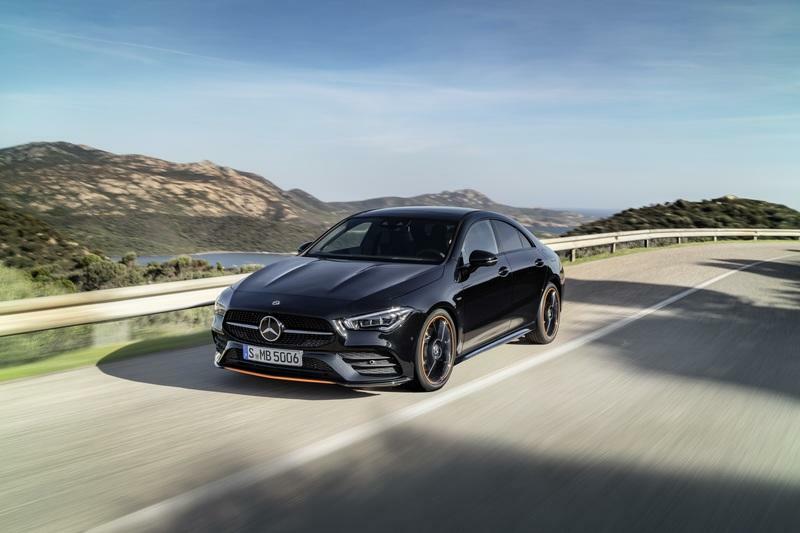 What matters is that the second-generation CLA’s cabin is slightly bigger than the old one, as you’d expect looking at the exterior dimensions. You get a bit more headroom up front (which is where the CLA bests even the 3-Series by 1.6 inches) and about 1.5 inches of extra elbow room too both in front and in the back. Exiting the car and going in the back to pop open the trunk will be a bit of a disappointing experience as the CLA offers a rather cramped trunk with 16.2 cubic feet of cargo space, 0.4 cubic feet down from its predecessor. 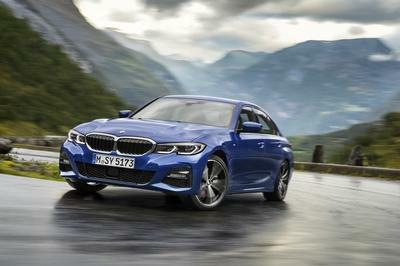 Still, the A3 Sedan is almost four cubic feet off and the latest BMW 3 Series only offers one extra cubic feet of room. The Jaguar's interior isn't as stylish as that of the Mercedes, but it isn't a particularly busy place either. The center console is dominated by the infotainment screen but it all looks a bit dated to the extent that behind the otherwise good-looking steering wheel there are actual dials with needles and only a small digital screen in between the odometer and the tachometer. Starting with the 2018 model year, the 10.2-inch Touch Pro option became standard even on the base model which previously came with an 8-inch infotainment screen. However, the upgraded navigation system remains a separate option. Another cheeky option is a laser color head-up display. Apple CarPlay and Android Auto integration isn’t standard and, if you don’t get them, you’ll find out that the Jaguar’s own InControl infotainment system is rather cumbersome when it comes to making it get along with your smartphone. Jaguar offers the driver assistance package with adaptive cruise control, blind-spot assist and an automated parking system, but it’s an option even on some higher trim models. Autocar reckons that "feels respectably well assembled, the perceived quality of materials is fairly high and things are laid out logically," adding that "the gentle twist and rise of the automatic gear selector is, to be fair, still a neat touch". 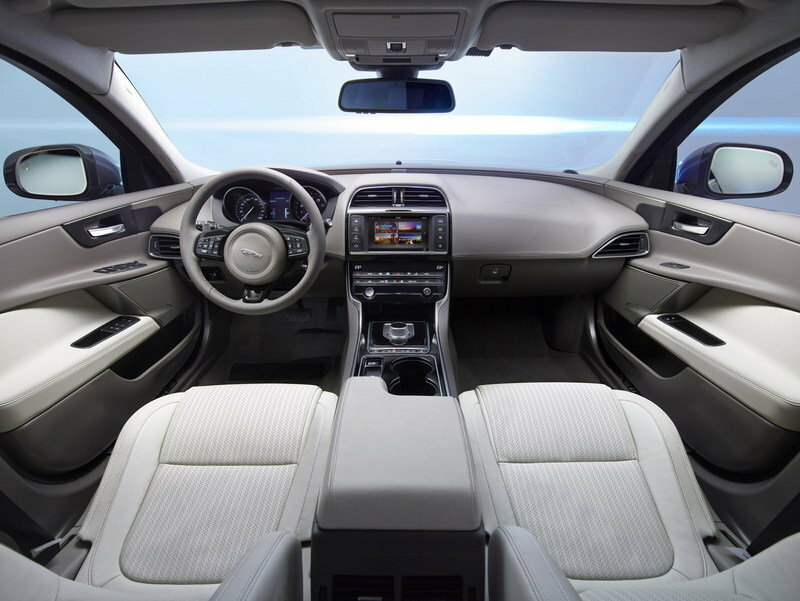 Edmunds, meanwhile, argues that the XE "doesn’t stack up to rivals in quality of interior materials and assembly" pointing out that the cabin is small and " feels even more so due to the design of the dashboard". The rear seats are more cramped than what you’d find in a C-Class or 3-Series and the 40/20/40 split-folding rear seat is an option, as is the hands-free trunk. The trunk itself only offers 16.1 cubic feet of cargo space which is average at best and, surprisingly, 0.1 cubic feet down on the CLA! Obviously, it’s also down on what BMW offers inside the 3-Series. The total passenger volume is 91 cubic feet. I’ll spin it around for this section and start off with the Jag. Its bonded and riveted aluminum monocoque structure is a unique feature in the compact luxury sedan class and, actually, of the 3,841-pound curb weight, 75% is aluminum. 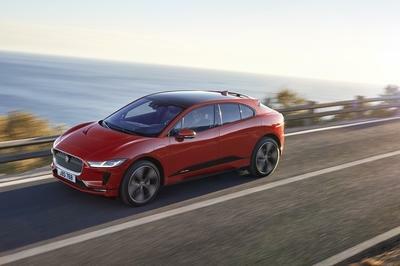 Talking about the future, the facelifted XE could feature, according to Carscoops, "a mild-hybrid powertrain [with] a 48-volt architecture with a belt alternator starter and a small lithium-ion battery, paired to the brand’s Ingenium engines." You can get one of three engines mated to the JLR D7a platform, although the most powerful is reserved to the XE S trim levels. The others have to make do with a couple of four-cylinder, turbocharged gas engines making between 247 horsepower and 296 horsepower. 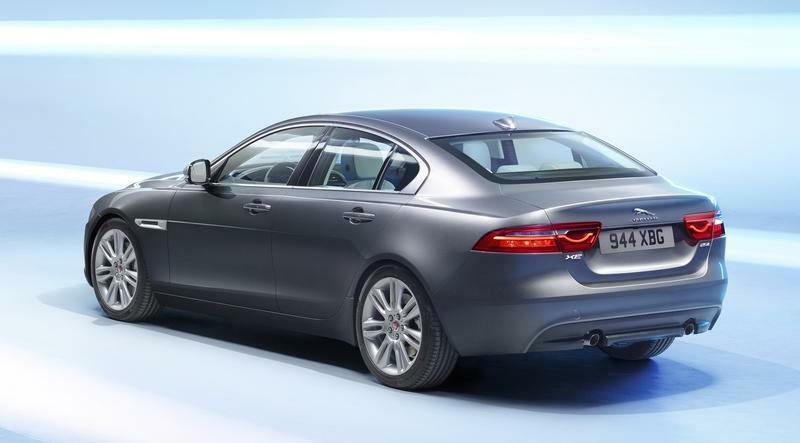 Basically, you get the lesser of the two units on the base model XE, the Premium, the Prestige, the R-Sport, and the Landmark. Meanwhile, the 296 horsepower mill (known as the 30t, whereas the other one is the 25t) is available on the 300 Sport and the Portfolio trim levels. The 247 horsepower four-pot puts out 269 pound-feet of torque and has a top speed that’s limited to only 120 mph according to Jaguar’s own website. In other markets, you can go as fast as 155 mph with the same engine under the hood. However, the 6.2-second 0 to 60 mph time is the same anywhere. Meanwhile, the meatier four-cylinder offers 295 pound-feet of torque but is limited to a top speed of 120 mph too, although 60 mph is reached from a standstill in just 5.6 seconds. 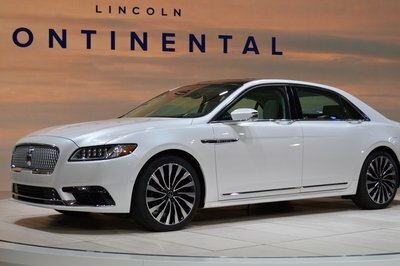 The 3.0-liter, supercharged V-6 from the S churns out 275 horsepower and 332 pound-feet of torque. Jaguar says the S can do 0 to 60 mph in just 4.8 seconds but lists a top speed raised by 1 mph (!) in comparison to the other two engines. 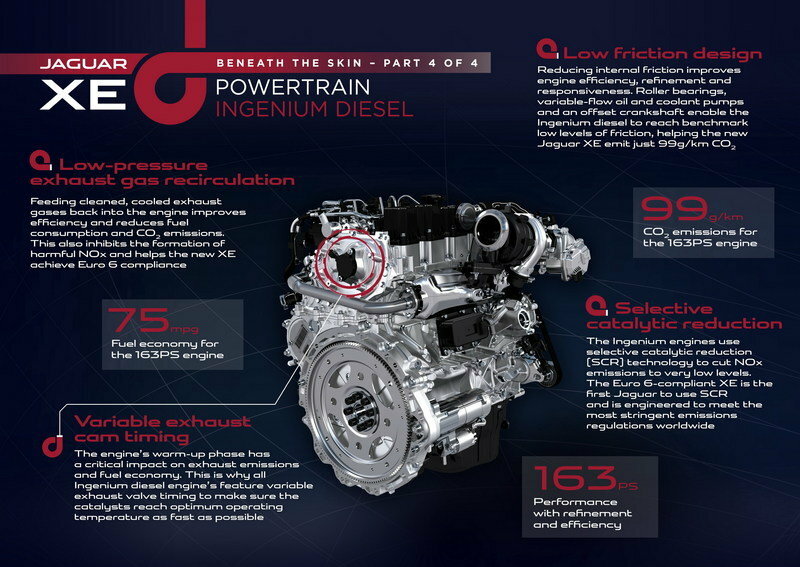 There are also diesel-powered versions of those gas 2.0-liter Ingenium engines that put out between 161 and 237 horsepower depending on the version you choose, the most powerful featuring a second turbocharger in the mix. All of the engines I’ve talked about thus far are mated to an eight-speed automatic transmission with manual shifting mode. Suspension on the XE is by control arms up front with a multi-link arrangement in the back. Brakes are ventilated all around and measure 13.8 inches in the front and 12.8 inches in the back. Rear-wheel-drive is standard but AWD is $2,500 option. Underpinned by the same platform as the A-Class, namely the MFA2, the CLA is only available with gas-powered engines in the U.S. 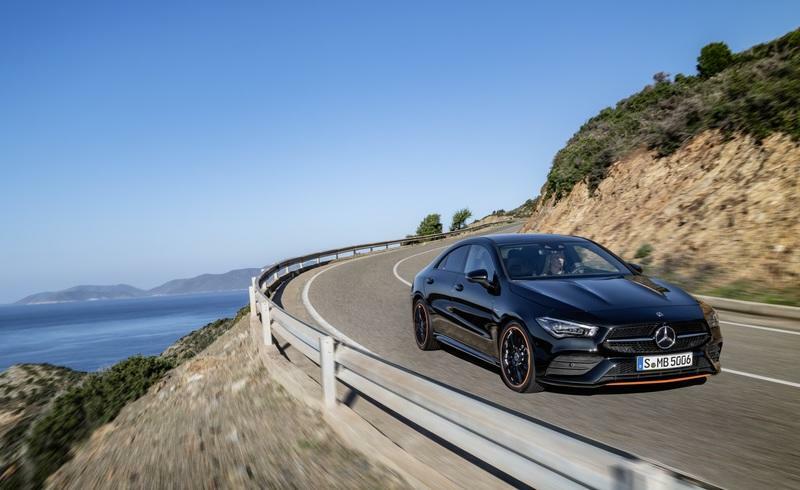 The base one, found on the CLA 250, is the 2.0-liter, turbocharged four-cylinder with 221 horsepower and 258 pound-feet of torque at its disposal. 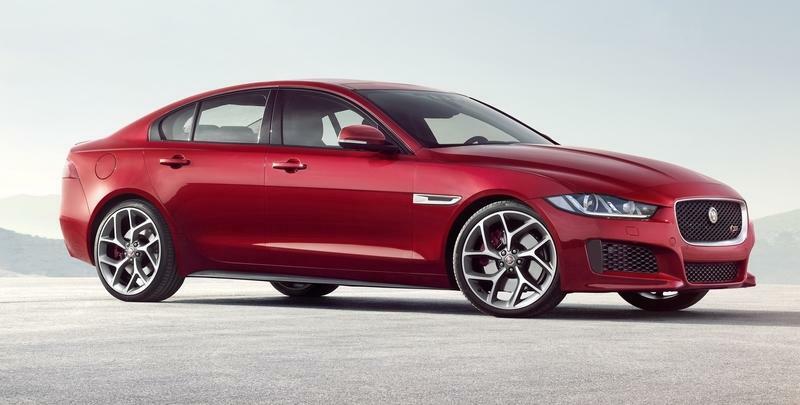 That’s 26 horsepower and 11 pound-feet of torque below what Jaguar’s gas Ingenium 2.0-liter engine develops but it’s still 33 ponies and 37 torques stronger than the A-Class while the A3 Sedan’s base engine only cranks out 184 horsepower and 222 pound-feet. In other words, the XE would smoke the CLA with the engine it currently has. 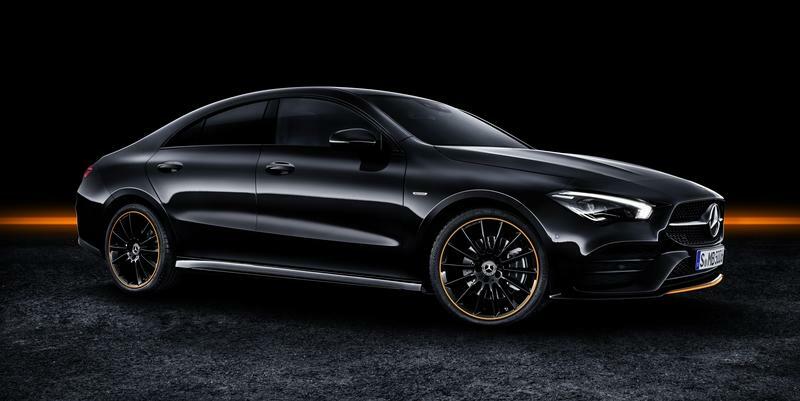 Luckily, a +400 horsepower CLA 45 AMG is in the works. That could be an engine capable of properly exploiting the dual-clutch seven-speed automatic transmission that’s standard on the FWD CLA. The 4MATIC Variable-Torque all-wheel drive is available as an option. The first-generation model with less power could reach 60 mph in 6.8 seconds so, most likely, the new one is quicker. The CLA and the XE aren’t quite in the same class but, in fact, are rather similar cars in terms of dimensions and roominess. The Mercedes offers the superior interior which not only looks more modern but also feels better when you touch the leather and the buttons and all the other surfaces around. It’s also about as roomy and you don’t lose virtually anything in terms of trunk space if you go for the CLA Coupe Sedan. To my eyes, the XE has the prettier face, although the CLA is also an aggressive while still good-looking car, certainly better off in the aesthetics department than the A-Class Sedan. The rear end is also much nicer on the CLA compared to the stubby tail of the XE which looks dated. The Jaguar is also probably about 400 pounds heavier than the more compact CLA. 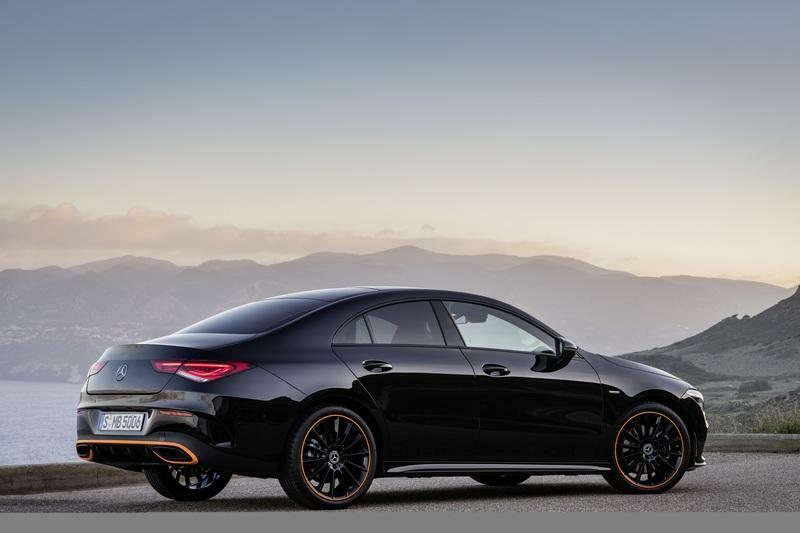 The first CLA was advertised with a base price of around $30,000 but it ended up costing no less than $33,325 (FWD CLA 25) with the 4Matic option adding $2,000 to the price tag. In comparison, the XE starts at $36,995 but, if you want to not drive around in a bare-bones car with blank buttons, you’d have to pay at least $43,735 which is the price of the XE Prestige which gets InControl apps, the Navigation Pro suite with Pro Services and keyless entry among others. We don’t know how much the new CLA will cost, but it’s clear that it will be priced more competitively than the XE. 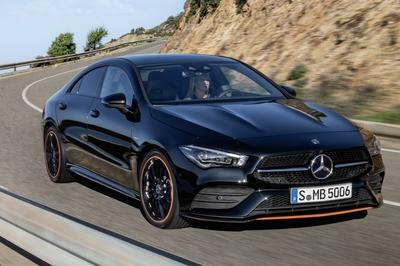 However, that’s not a surprise because the CLA’s main rival is the A3 Sedan while the XE looks to fight the A4 beside the C-Class and the 3 Series. The A4 Sedan starts at $37,400 (with the 188 horsepower and 236 pound-feet of torque engine and just 13 cubic feet of cargo space in the trunk). The C-Class, all the while, kicks-off at $4,000 above the A4 while the G20 3 Series has an MSRP of $45,000. Put next to these models; the XE doesn’t seem that expensive anymore. In spite of these, Jaguar has a hard time selling the XE, less than 21,000 units having been sold since 2016 while Mercedes sold 750,000 CLAs between 2014 and 2018 with 200,000 coming to the U.S. Overall, the Mercedes seems to be the more sensible choice but, frankly, the Jaguar isn't a bad choice either, be it if you pit it against the usual suspects in the compact luxury sedan segment or against Mercedes' latest mini-CLS.